When an event bills itself as 'Britain's Friendliest Music Festival', the sceptics among us start to scratch our collective cynical chins and ask questions. Just why, exactly, is it Britain friendliest festival? Who says? WOMAD's pretty friendly isn't it? Why is Cropredy more friendly than say, Glastonbury? Bold claim though this may be, there is a strong element of truth to it. I've been lucky enough to visit a fair few festivals in my time, from mud-splattered psycho sonic mosh-bogs to sun-dappled Pimms-quaffing gentile snoot fests and can happily report that Cropredy is certainly up there with the friendliest. So why is this? Well, for starters, it's organised by Fairport Convention, a band who know a thing or two about live music. Having celebrated their 40th anniversary a few years ago, you'd expect them to. 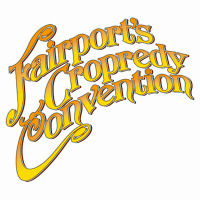 Cropredy began in 1979 as a village fete - with Fairport Convention, admittedly at a low ebb at this point in their career, playing a few tunes. Since '79 the event has grown exponentially from its humble beginnings to become a staple of the summer festival calendar and much loved pilgrimage for fans of the modern day Fairport and their guests - who usually number a good few ex members. While the scale of the event has grown, the intimacy remains. There's only one stage, so no timetable clashes to worry about. There's no backstage VIP bar either - just the superbly stocked main bar which runs practically the whole length of the arena field. So if you think the bloke elbowing in next to you when you're queuing for your Wadworth 6X looks like Mark Radcliffe...it's probably Mark Radcliffe. The event takes place within the charming and picturesque village of Cropredy who's residents are as accommodating and welcoming as they are resourceful and enterprising. Look out for the car boot sale on the Saturday and the annual Fairport vs. Cropredy cricket match on Sunday afternoon. The canal that borders the site is crammed with boats of all shapes and sizes throughout the weekend too - well worth a lazy stroll down the towpath if you can't stand an hour of Ralph McTell or Richard Digance. The line up is consistently strong, folk themed, generally with a few surprises and a few regular slots. Fairport themselves see the festival out in style with a mammoth three hour set on Saturday evening aided by past members, friends and family. Last years surprise guest was Robert Plant; this year Yusuf Islam (Cat Stevens to your mum) will be joining them. This year's other highlights include punk arriving at Cropredy in the shape of the ever dependable Buzzcocks, a Thursday evening headline set from ex Traffic and Blind Faith man Steve Winwood ("Call on MEEEEEEE, call on MEEEE etc...") and a solo performance from ex Fairport guitarist and general all round string spanking genius Richard Thompson.